The festive season has started and my daughter’s school was closed for term end break. I wanted to take them to some new and different place that they have never been to. There are many new places that our city offers for kids, malls, play areas, gaming zones and theme parks. While we go there every now and then, I wanted to take them to some place which would delight them and offer them some kind of learning. While searching for some fun places to go with kids, I came across Deer Park. Initially, I thought it to be a simple park which lies forgotten in the heart of the city like many other parks. I read more about it and got to know that there are some animals to see. I decided to explore the place with my kids. We went there at about noon time, the weather has become pleasant now making it a good time to visit open areas. 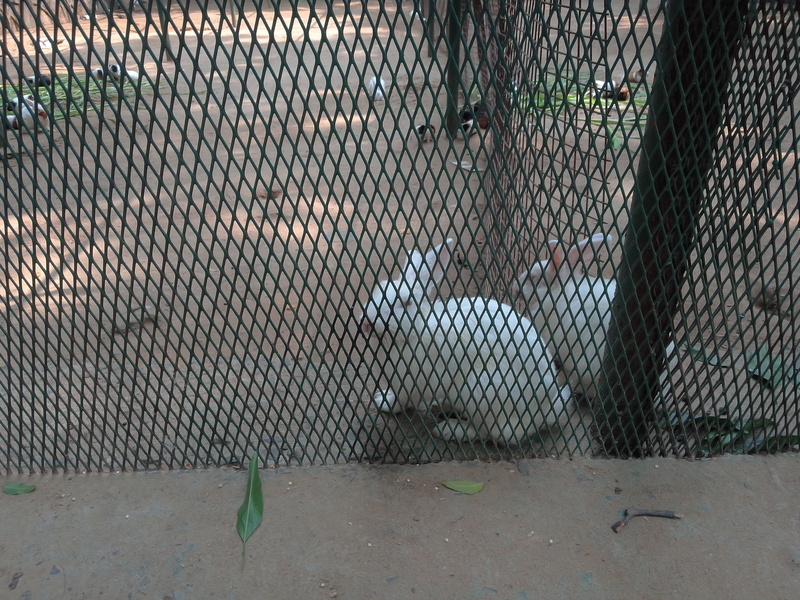 There are various enclosures in the park, one of them has rabbits and guinea pigs. Kids were so happy and excited to see rabbits and guinea pigs, they were not ready to move from there. A little ahead was another enclosure where there are large number of deer and peacocks. 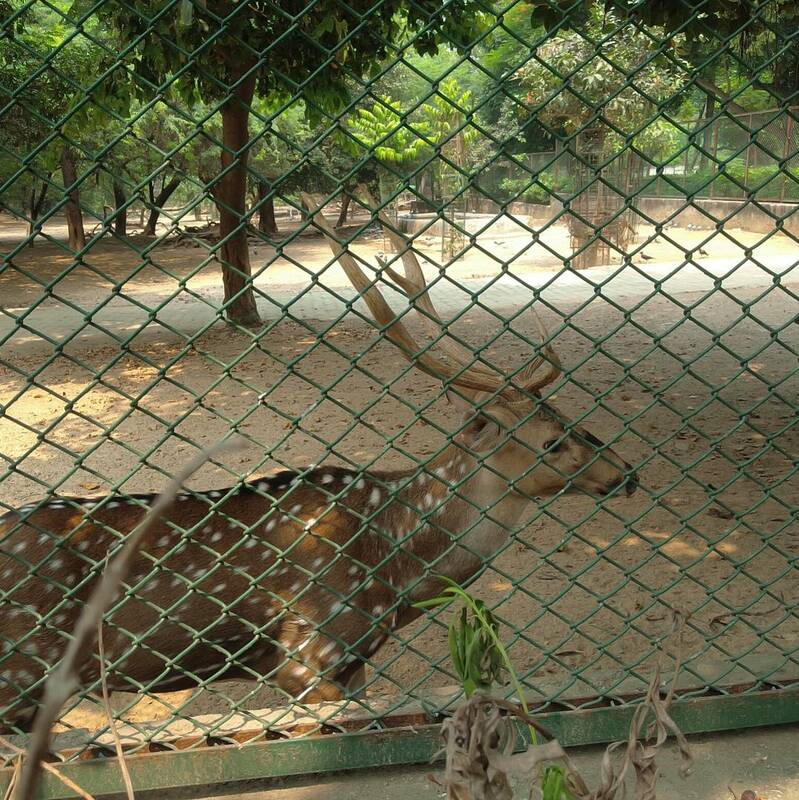 It was joy to see the kids jumping around like deer and peacocks, making the visit more joyful. A big lake makes the place look more beautiful and peaceful, adding to the picturesque beauty of the place were various types of ducks. The place is very calm, serene and beautiful. Once inside, I could not believe for a while that I was in Delhi, given the fact that our city has become so crowded and polluted. It was a bliss to find myself there. 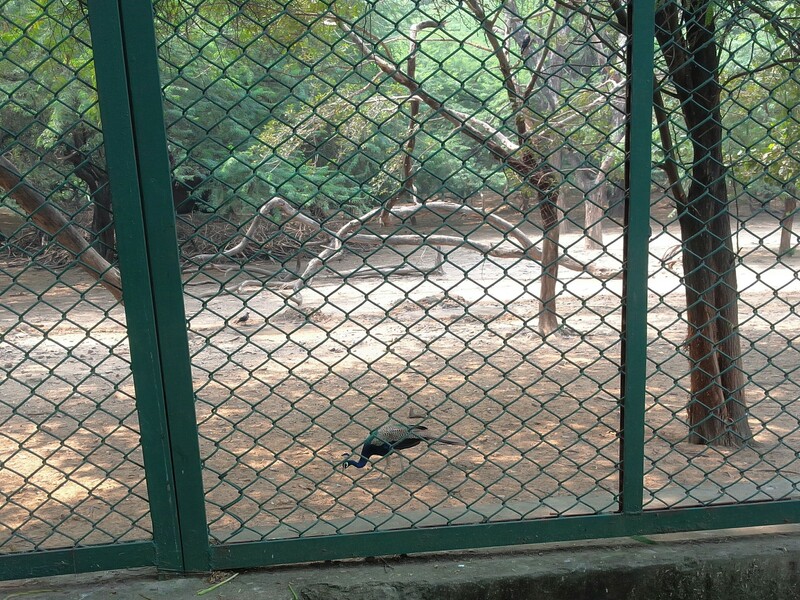 The lush green gardens, animals roaming freely inside the huge enclosures, chirping of birds, chattering of monkeys, squirrels running here and there provides a treat for the eyes. The place provides learning and entertaining experience to the visitors especially kids. The nature walk and exposure to sunlight is an advantage which the place offers to the urban kids who are more prone to staying indoors and becoming glued to the screens. The fresh air gives a boost to the lungs which have become used to inhaling the pollution of the city. The walk in the lap of nature is very refreshing especially in such a place where there are deer, peacocks and rabbits around. The entry is also free and there is no time duration for the stay there. The place is open every day from 5:00 AM to 8:00 AM during the summers till October and 5:30 AM to 7:00 PM during winter. So, if you are thinking of taking your kids to for a nature trail and making memories, Deer Park is sure to delight you. Where is it located: Hauz Khas, Delhi.